For strength, look to powerlifting. Make the basic barbell lifts (or variations thereof) the foundation of your training program. After a thorough dynamic warm-up, begin each workout with some type of squat, deadlift, bench press, overhead press, pull-up, or row. Over the course of the training week, perform each of these major lifts at least once. Go heavy (4-6 reps), focusing on lifting the weight as explosively as possible while maintaining perfect form, and take plenty of rest between sets. Utilize progressive overload by adding weight, reps, or sets each and every week. After you've done your strength work, shift your attention to muscle building. For this, borrow from bodybuilding. Incorporate both multi- and single-joint movements, sticking to the 8-12 rep range (though higher rep sets can certainly be employed, as well). Count "one-one-thousand, two-one-thousand, three-one-thousand" during the lowering, or eccentric, phase of every rep. Rest incompletely between sets. Once you've gotten a solid pump, conclude each workout with some high-intensity circuit training. Race the clock and attempt to beat your own previous best performance, but never substitute speed for movement quality. There you have it. No need to get caught up in the frivolity of any one style of training in particular when you can have the best of all of them at once. With an intelligent fusion of powerlifting, bodybuilding, and circuit training, incredible gains in strength, size, and stamina are all yours for the taking. And if, for whatever reason, your gains or enthusiasm ever begin to wane, there are always elements of gymnastics, Olympic lifting, and strongman to add to the mix. But those are topics for another day. Travis Pollen is an NPTI certified personal trainer and American record-holding Paralympic swimmer. He is currently pursuing his Master’s degree in Biomechanics and Movement Science at the University of Delaware. 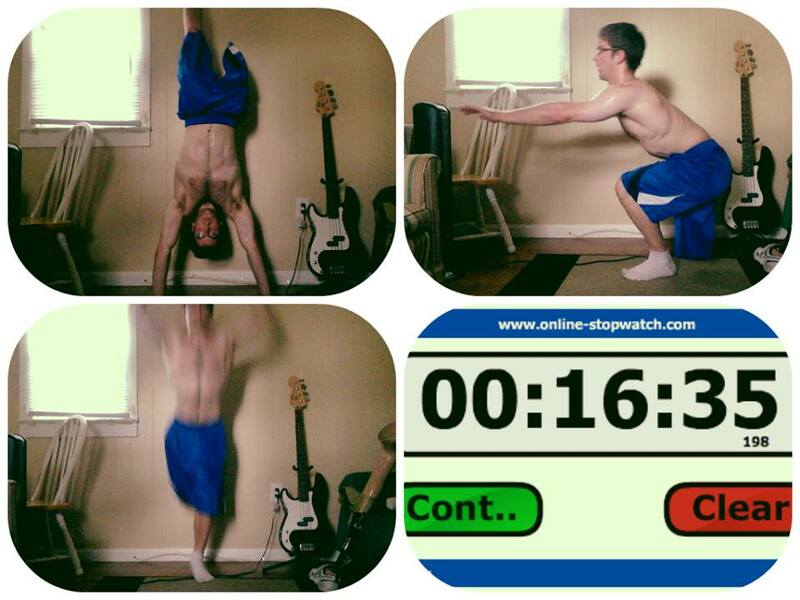 He maintains a fitness blog and posts videos of his “feats of strength” on his website, www.fitnesspollenator.com. Be sure to like him on Facebook at www.facebook.com/fitnesspollenator. Newer PostWe're Having a Holiday Giveaway!